Nepal today has become a popular tourist attraction that attracts tourists all over the world. However, in remote areas of the Himalayas of this country there are still strange customs such as the sharing of wives among men. Understanding and exploring the cultures and customs of people all over the world will be surprised when you continue to share the wife of Nepalese men in the Himalayas. Accordingly, the men here can share their wives with other men without any jams or jealousy. What a strange and somewhat weird custom, isn’t it? The custom of sharing Nepalese wives still exists in remote villages in the Himalayas. The cause of this practice stems from the fact that the mountains in the Himalayas have a small amount of land to cultivate, and families with many sons cannot have much land to share with their sons when they mature and take wife. The only solution is that the boys in the same family will share a wife, so they will not have to share the family’s land but can live together and work on the same land. Usually, in a family with many sons, the first adults on will be chosen for a bride to marry, and the later siblings will also marry the wife their brother married. In many cases, it is wives who nurture their future husbands. The custom of sharing Nepalese wives does not lead to any jealousy or jealousy between husband and wife. Husbands respect their wives and perform family tasks such as cooking, washing and taking care of their children. Women will take care of their family’s money. Pema – a family husband with many brothers who married a wife in Nepal said, if the brothers stay at home at the same time, the eldest brother will sleep with their common wife. Pema also said that he did not feel jealous or bad when his brother slept with his wife. Because there are many men living with a wife, the children born in these families do not know who their father is. Therefore, they will call the father, uncle, and father. With Nepalese people in the Himalayas, they consider sharing a wife among men to be quite beneficial and natural, because a woman can be pregnant many times despite how many husbands they have. well. Along with that, the men will assign labor together to bring more economic value to the family. In addition, marriage, with many men, is considered an insurance for women. When a husband dies, they will not be widowed. The practice of sharing a wife in Nepal still exists. However, with the development of the tourism industry, the lands in the Himalayas were illuminated by civilized light. The people here have been able to interact with the outside world more and their polygamy now has a decline. According to many experts, in the next few generations, the sharing of Nepalese wives may disappear completely, when the awareness of the people here is increased and they are exposed to outside civilization more and more. 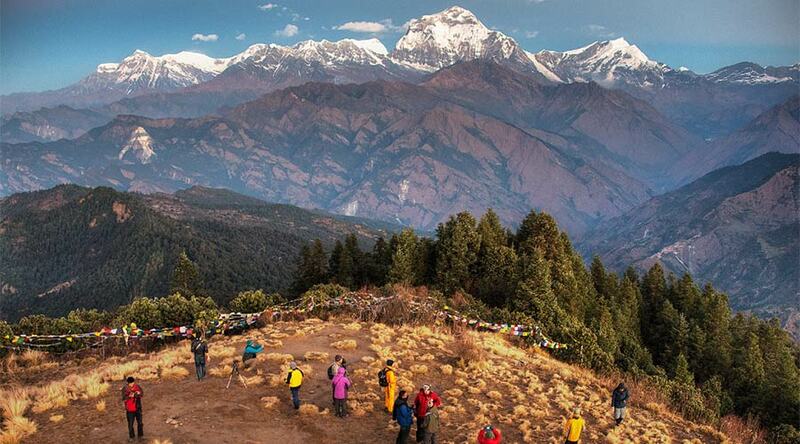 Nepal, we recommend coming hereon one of these peak seasons. 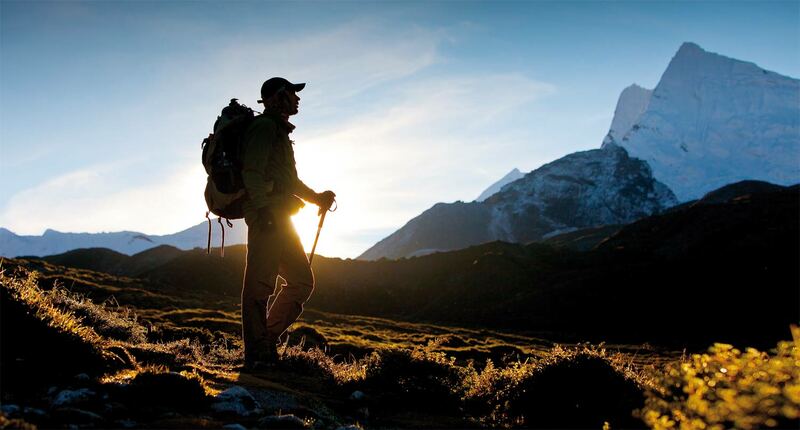 Although the trekking supply will be more crowded, but it will be safer for you. This is the highest peak climbing season in Nepal. This is the best time to see the mountains, sunny sky, mild climate and less rain. The downside of this time is that many other tourists and tea houses are always overloaded, especially along the famous trekking routes ABC Anapunar. If you go to Anapunar palace, do not go into these 2 months. Spring is the second peak season and also the best season of the year to trekking in Nepal. This is when the ice and snow melt on high mountain passes, the giant rhododendron begins to bloom on the hillsides of Nepal. This is a cool airtime, and is also very suitable for watching wildlife. The two main drawbacks when trekking in the spring are the winter trekking roads and the sky is quite dim,which can obscure your vision. However, the higher the climb, the brighter the sky, the clearer the scenery. 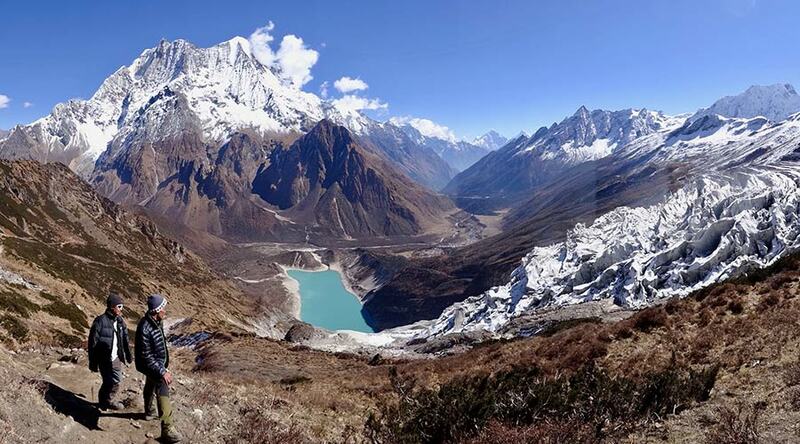 In addition to the peak seasons in Nepal, trekking in other seasons has its own advantages. The roads become more deserted, the prices are cheaper. 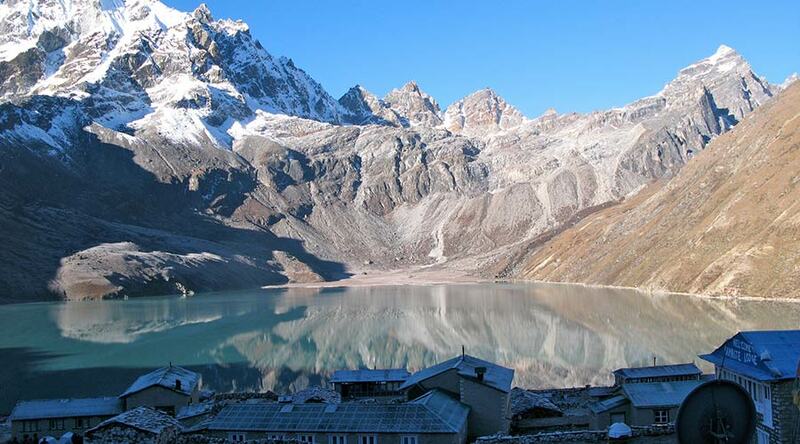 However, trekking beyond the peak seasons in Nepal also has hidden dangers, so you must consider carefully. Experienced winter travelers (December – February) can find sunny days and brilliant mountain views at this time of year. 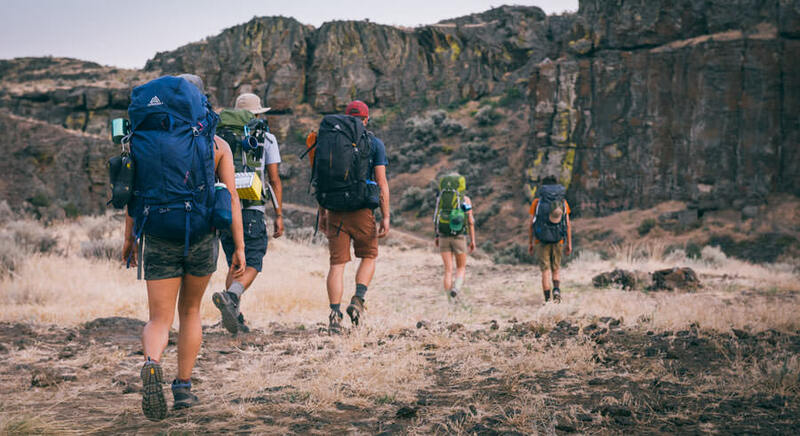 However, temperatures can be cold, daytime shorter than night, and harsh winter storms can disrupt your climbing plan or you must force many destinations to pass along the way. In addition, many popular stores will not be able to travel at this time of year due to heavy snowfall at high altitudes. Trekking in the rainy season (May – September) should not go. Monsoon winds and rains cause landslide and erosion in Nepal. This makes climbing difficult and dangerous. The weather can also be hot and humid during this time of year and the mountains are often obscured by clouds. Not losing his fate after being blind since he was 19 years old with glaucoma, Divyanshu Ganatra in the western Indian city of Punehas not only pursued his passion for sports but also helped other disabled people do it like him. “I am not ready for a life based on people’s sympathy. It took me a while to regain my mental strength and physical health. I understand that I belong to the outside and gradually start participating in cycling again with other activities such as mountain climbing” – he said. 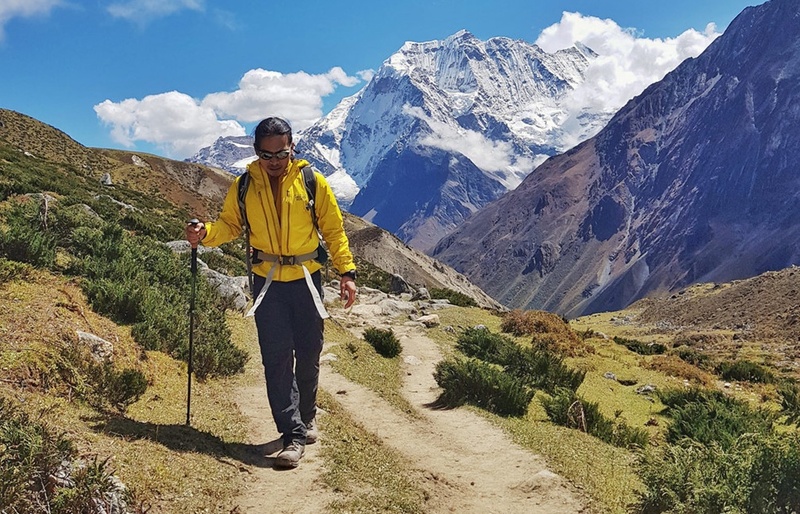 As a young man passionate about sports activities such as cycling, mountain climbing, after the illness, all this joy disappeared and Divyanshu Ganatra understood his life had completely changed. The passionate mutual friends no longer came to ask him to go out, because they believed that when he could no longer see the road he would not be able to participate in sports activities like before. Divyanshu himself also began his journey to conquer the Himalayas by bike from sorrow and exhaustion after being ill. He went to rehabilitation centers in the hope of being equipped with more knowledge and life skills, but then could not stay there long because people only advised him to pursue the right two jobs as a switch board operator. or workers making chalk. Divyanshu believes that only sports can connect the two worlds of healers and people with disabilities, only sports erase the inherent misconceptions when people do not believe in the ability of people with disabilities. As the organizer of Divyanshu Ganatra not only cycling, he was also worried about all logistics and other preparations for everyone. “It is a completely new thing. I don’t care about cycling. The hardest part is the gathering of support staff, medicines and bicycles. There are a lot of things to consider and luckily. Luckily everything is fine”, he said. Last year, taking part in his journey to conquer the Himalayas included Manasvi, 15, who was visually impaired. She was the youngest member of the last year team. I joined my father in a special challenge on a double bike with great excitement. The newspaper Hindustantimes recorded Manasvi’s comments at the time: “Dad and I listened to many different types of music while cycling and both father and son sang”. For many people, blindness isa barrier. But Divyanshu Ganatra, now 40 years old, doesn’t think so. At the age of 40, he was filled with joy and excitement with his friends and plans with ABBF. Although often referred to as an example of energy and inspiration to live with others, Divyanshu himself does not like that. He shares with Youstory site: Nothing is called inspiring about what I have done. The journey to find two Icelandic climbers closed when their bodies were discovered at the end of a glacier in Nepal. According to the Guardian reported that, Kristinn Runarsson and Thorsteinn Gudjonsson, two Icelandic mountain climbers were last seen on October 18, 1988, when they were 6,600 meters above Pumori in the Himalayas, located on the Nepalese border and the Western Tibet Autonomous Region, China. 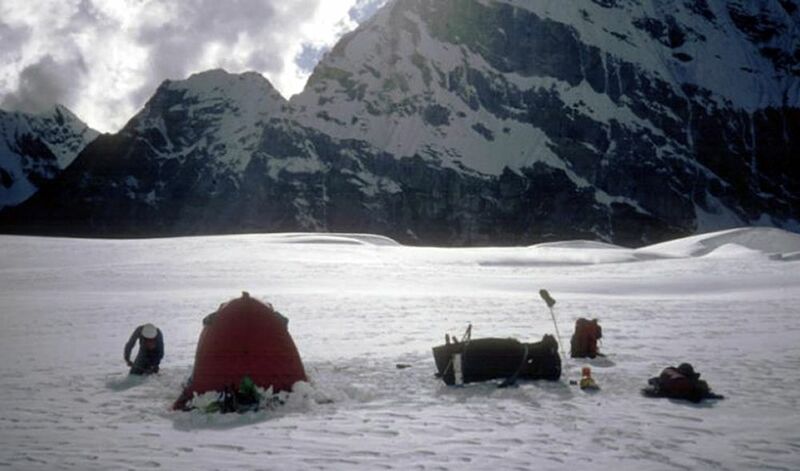 Their bodies were found last month by an American climber at the end of a glacier underneath the climbing route. This shows that the victims seem to fall to the crack at the campsite. 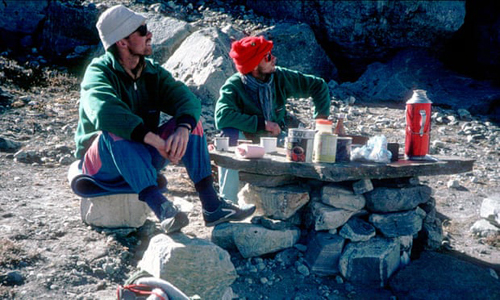 Steve Aisthorpe, a 48-year-old Scottish climber, accompanied Runarsson and Gudjonsson on an expedition at Pumori, but fell ill and had to return. He spent several weeks later searching for two friends. “Finding the bodies of Thorsteinn and Kristinn after so many years certainly brings a lot of emotions to those who know and love these two great men”, Aisthorpe said. A group of local climbers brought bodies to Nepal’s capital, Kathmandu, and then cremated. Relatives of two climbers brought ash ashes to Iceland’s homeland. Aisthorpe revealed that the fiance of Runarsson is pregnant at the time of the tragedy and their son is 30 years old. “In ever felt lonely like the day we went back to the camp where we were. As I climbed up, I still hoped that Kristinn and Thorsteinn had gone down safely and were sleeping in a small red tent. Seeing the tent, I called out loudly, but only received silence again”, Aisthorpe recalled. A helicopter searched the two climbers five days after they were last seen. Aisthorpe left the region after a few weeks of no friends. The Scottish climber expressed relief when the search journey finally ended, and planned to go to Iceland to meet the Runarsson family and Gudjonsson for condolences. Horn frogs, walking fish or sneezing monkeys… are among the more than 200 new species discovered in the Himalayas. These creatures are not only completely new to the scientific world, but some species also possess superficial and exotic characteristics. Let’s also learn about some of the new species among them through the article below. 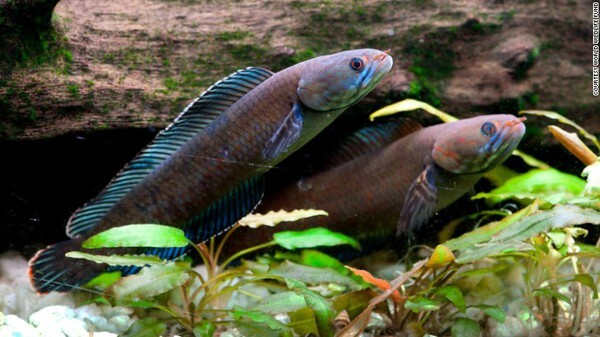 Dracula fish or Danionella Dracula was discovered in 2009 and is endemic to Myanmar. The name Dracula – was named after their unusual “fangs”. 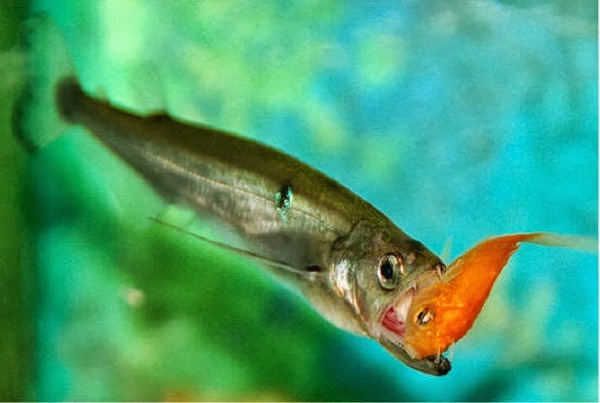 Male vampire fish possess a pair of protruding bones in the jaw shaped similar to a pair of fangs, and are often used when fighting other males. The scientific name of walking fish is Channaandrao. The discovery of this species in West Bengal (India) in 213 raised the region’s number of snakehead fish to 10 – accounting for nearly one third of the total number of species of snakehead fish. Walking fish can breathe on land and can even survive without water for a period of up to 4 days. Although terrestrial movement canmake them a bit difficult, by wriggling, Channaandrao can walk a distance of 400m on land. 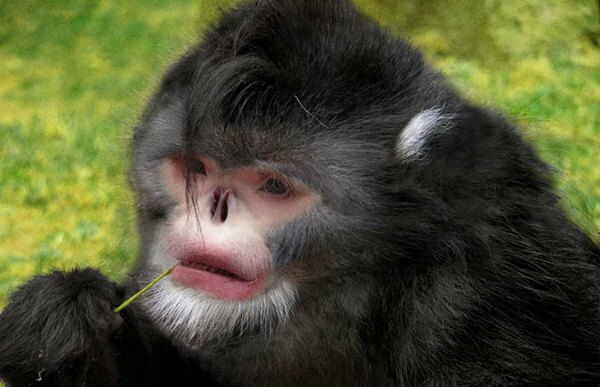 Discovered around early 2010 in northern Myanmar, this sneezing monkey (scientific name Rhinopithecusstrykeri) has two characteristics: no nose and… sneezing when it rains. That’s because their noses are upturned and there is no meat around to protect them, making the water easy to fall into the nose. For this reason, sneezing monkeys have a habit of hiding their heads under their knees to cover the face when they encounter rain. Rhinopithecusstrykeri has been included in the list of dangerous animals that need to be protected due to excessive hunting by indigenous people. It is estimated that there are only about 300 individuals left in the wild today. This frog belongs to the mud-toad family, a special toad in Asia. They are known for their camouflage talent, by using gold-like skin,combining with veins on their bodies to blend in with nature. They are called “horned frogs”, because their eyes are stretched, shaped like two horns on their heads. 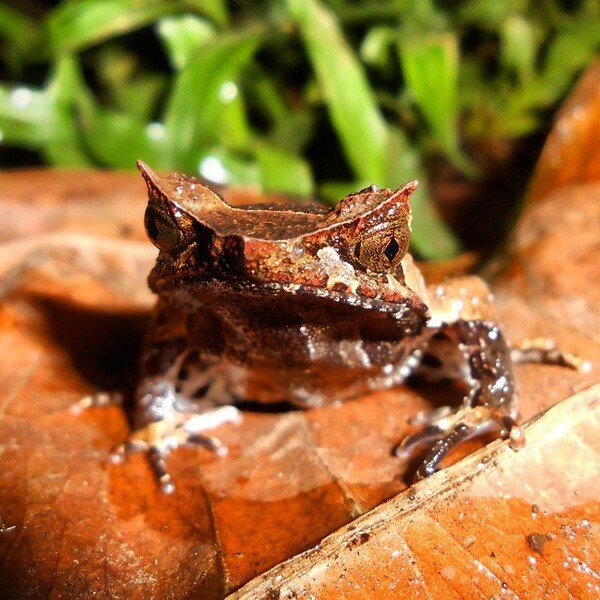 The “horn” is also used by this frog as a camouflage tool and threatens the enemy. The normal size of Megophryid is from 2 – 12.5cm. The adult frog has another recognizable trait that possesses a paddle-shaped tongue. On the majestic Himalayan slopes, under the full moon, Indian farmers race against time to have the most energetic tea buds. And because it’s the most energetic, if you want it, you’ll have to spend over $2000 per a kilogram. If you have a lot of flat toys that you missed out on Silver Tips Imperial tea, you’ll have to cry. Since 2014, it has required you to spend $1.850 just to buy 1kg. For now, according to Silvertipstea.com, you’ll need to spend 60 dollars/ounce, which is about $2,118/kg. Like “Every Money’s”, Silver Tips Imperial tea is of course no needless but expensive. 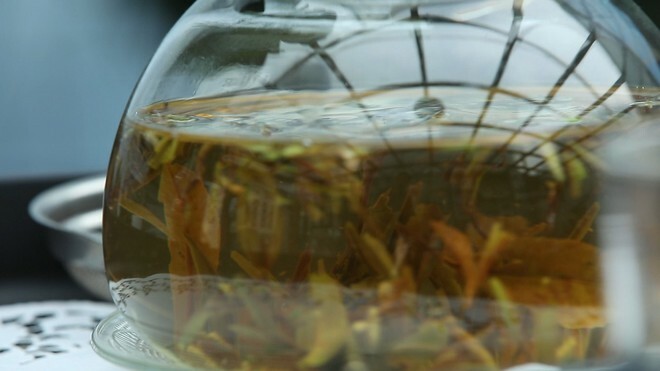 It is so rare that it is called the mysterious Oolong. Why is this tea so special, it is because it is… the essence of heaven and Earth. On the sloping back of the Himalayas, where the summit is snowed all year round. Making friends with the lord of the forest and forest elephants, imbued with the Buddhist incense from the temples lying craggy, towering between the ridge, Darjeeling green tea plantation (India) quietly radiates incense. Unlike other teas, occult Oolong is harvested only from March to October. 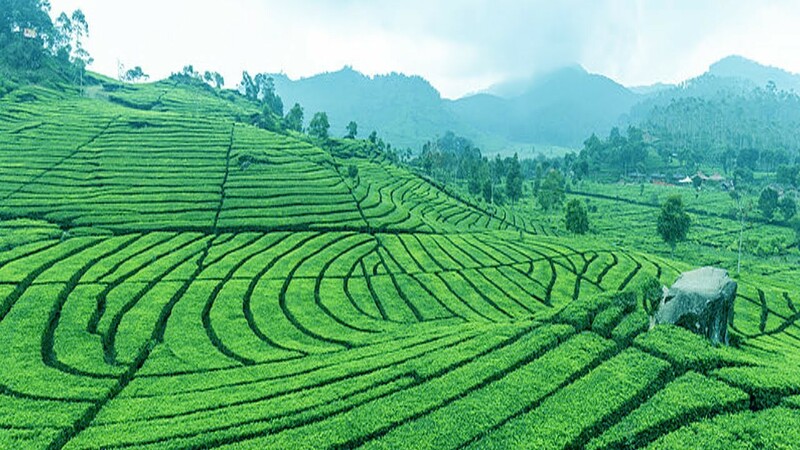 People do not simply carry the mountain on the mountain and then bring the tea back, but they also have to look at the land and calculate before, wait for the most appropriate time. 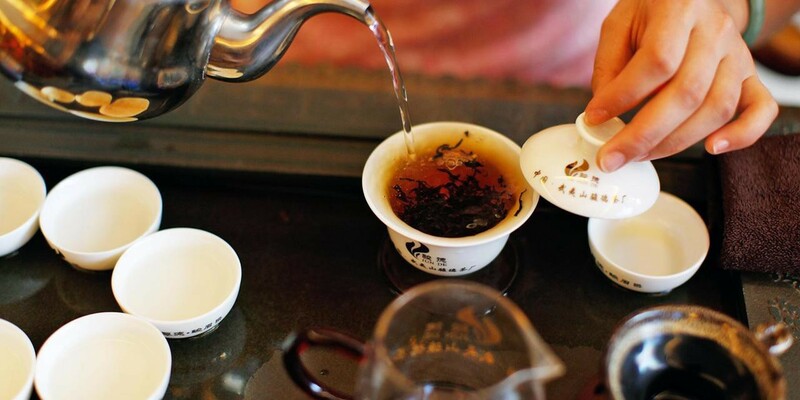 The perfect time to carry out the mysterious Oolong harvest is the first full moon night of March, April, and May, at the time of the highest tide level, the water level in the stem of the tea tree drops to the lowest. The Indians believe that it is at this time that the air of heaven and earth harmonizes and crystallizes so the tea flavor is sweeter and tastier than ever. 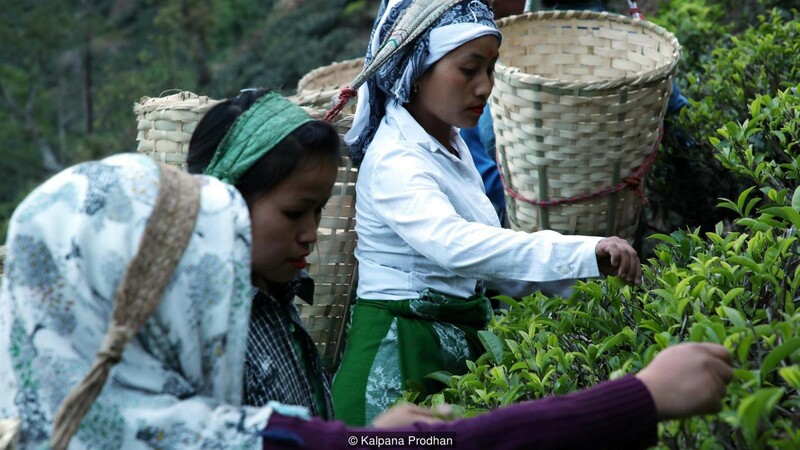 On the day of the full moon, the farmers of Darjeeling Tea Garden will prepare a solemn ceremony. When the sun begins to set, it is time for men to play drums and women dance to pray under the torch. Through 8pm, at the most radiant full moon, 80-100 newly selected farmers rushed to the mountainside, quickly picking tea. They also only broke up to 2 leaves of a tea bud. The taste of the mysterious Oolong will be changed if sunlight is contaminated, so farmers are forced to complete the work before dawn. It takes about 4kg of fresh tea leaves to get 1kg of dry tea. 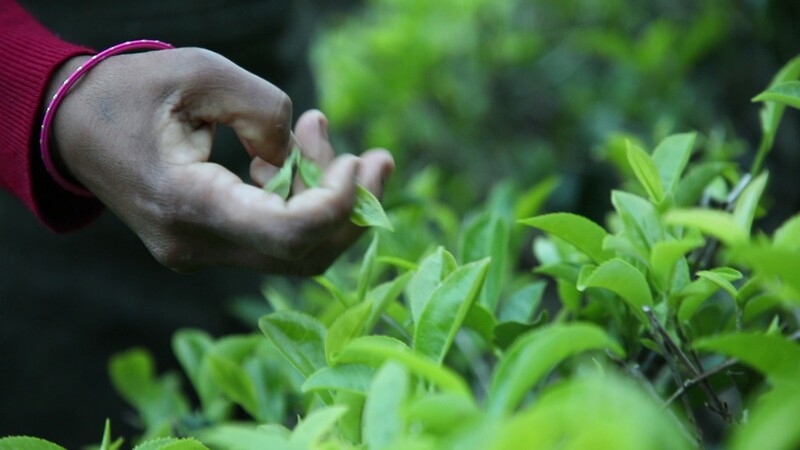 While this Indian tea can be harvested in the period of March-October, people often pay a high price for tea buds that are picked and processed during the spring season (May 3-5). They also said that if you combine Silver Tips Imperial tea with mango and flower fragrance, it will create an unexpected effect. It is to increase vitality and anti-aging. In addition, the unique flavor of this mystical Oolong tea makes you feel refreshed, ecstatic as if you have just been born again. When mention to Nepal, people can imagine even snowy white in Himalayas and Mount Everest has always challenged climbers. But Nepal is the land of the gentle and mysterious monuments. From on high, the capital Kathmandu appears in the eyes of tourists with the dark red house on the genus dock everywhere. There is a tall building would up the rich. From the airport to the center, across the street is the poor dusty. Tourists can stay in a small hotel near the old city of Thamel, where many backpacker tourists. The streets here are small to the point of just enough two cars passing each other a way of evading difficulties. So that the old car still launches through a stylized art. To Nepal, you should also be familiar with electric clippers. In Kathmandu, the electricity being cut every day for eight hours, broken into three times and power cut schedules tagged in hotels. Monkey temples or Swayambhunath is located on a high hill andis one of the most ancient religious relics of Nepal, dating from about the 5th century. It featured the colourful flags typical of Tibetan culture. Occasionally see these lamas up down in the ranks of free masonry. Stupa – shaped spires hemisphere feature appears on the top of the mountain. Monkey herds running jumping all over the place, so incessantly with who, as between the mand the humans there. There is a sense of peace to the exotic. It is called the temple of the monkeys due to that reason. From where the stupa architecture such as Swayambhunath,walk through a crowded area, you will reach the Boudhanath. With a white stupa that lies between, here you can observe more clearly religious activity, people go to pray, worship, to understand more about their customs. Ancient Durbar square with monumental architectural complex and voluminous. Which is the Palace of the Royal family are always crowded of people walking out, the markets and the visitors. The best way to see the whole of Durbar square and the ancient Palace is up a starbucks on the terrace, where you can track the activities of indigenous people. Go to Nepal without seeing Mount Everest, the roof of the world, the result is a waste of the whole trip. If you are at the time and afraid of difficulties, you may choose to fly instead of climbing. Nepal Airlines serve for Himalayas sightseeing flight in the early morning or late afternoon.It is about a great time and safest to fly up the mountain sightseeing, by calm weather. Ticket price is about $160 for a sightseeing flight hour mountain, not too expensive to see a majestic natural wonders. If the plane windows are not enough for you to satisfy the crew also for you to take the cockpit to watch the scene airer. The friendly pilot is willing to take pictures for you. If given the opportunity to fly domestic routes in Nepal, you also have the opportunity to watch the Himalayas from above. And if not satisfied, you can go to other parts of Nepal to sit there watching the Himalayas like Pokhara, Nagarkot, Lukla, etc. In Pokhara,can rent the car to the top of Sarangkot in the early morning to see the sunrise on Himalayas. In Nagarkot, you can sit on the balcony in the hotel zone, motels to watch Himalaya all day. Those who are brave and hard work could spend weeks trekking to Everest Base Camp to to look better Everest. When referring to the Himalayas, tourists will think to Nepal with the long way conquering the towering peaks at this place. And head out of this, of course, can not not mention Mount Everest. 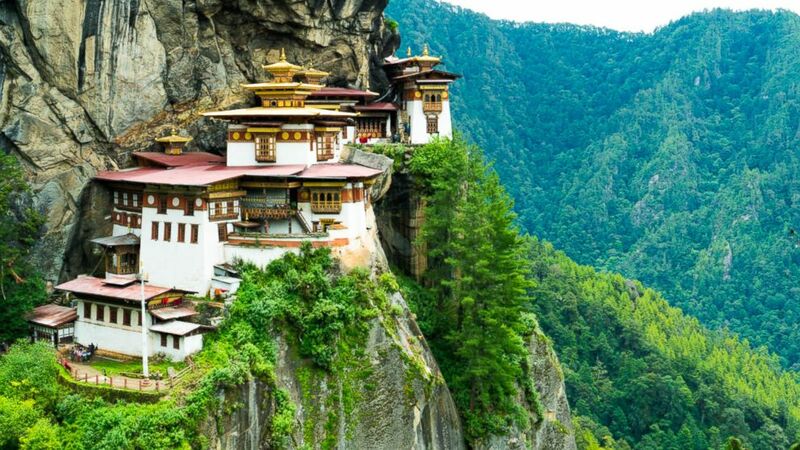 From the hostel to the luxurious world-class spa to the wooden houses of the indigenous people will make guests feel like it when coming to explore the Himalayas of India with lots of wonderful vacation spots. Surrounded by the snow-capped Dhauladhar mountains, Eagles Nest hotel is located on Mc Leod Ganj, in Himachal Pradesh State of India. The 150 years old stone house was originally part of an American and then used as a farm wool Angora. There are 7 rooms in small hotels and it is surrounded by the primeval forest. Hosts Bo and Sheila gave up the experience of their music back home in England to recover this hotel and they have used more than 10 years to build and fix it again. The rooms all have bay Windows and a private balcony, from where you can see the whole scene of the mountains around the House. 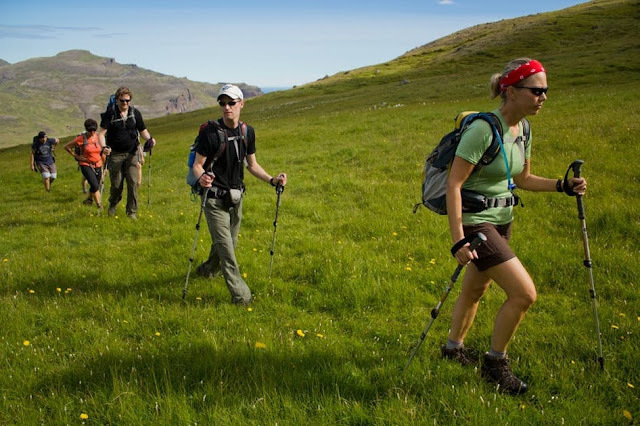 It has scenic trails will lead visitors to the Great Himalayan National Park. Visitors will take five hours to walk 6, 5 km to the village of Panyali. The guides also failed to make sure and give specific numbers about the scenic stop on ramp. The prayer flag is a scene that you’ll often meet in the mountains around Eagles Nest hotel is located in the State of Himachan Pradesh of India. Ananda’s spa has over 80 years experience in the beauty and the human body. Spread over 100 acres of land in the foothills of the Himalayas in the State of Uttarakhand, Ananda is a spa for guests can remove fatigue,detox and relax. The resort has a 24,000 square meter Spa facility including an indoor swimming pool temperature adjustment is surrounded by a garden, where careful care usually takes place in the activities of sitting meditation and yoga in the morning. The initial detox program lasts four days. It is a combination of Ayurvedic treatments, massages with aromatherapy, spa cuisine,customized fitness program and a mix of yoga. Ananda can arrange a two-hour trip up to the top of Mount Kunjapuri Temple or a trip down to Rishikesh to see a performance of cast iron traditional Aarti.